Welcome to the St.John’s Primary School recently updated website. At St John’s Primary School we provide education for all of the children in the local community striving to deliver high quality teaching and learning to ensure every child reaches their potential. 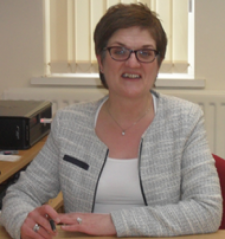 As Principal of St John’s Primary School and Carnlough Community Nursery I believe that a strong foundation is vital to ensuring the best possible outcomes for every child. 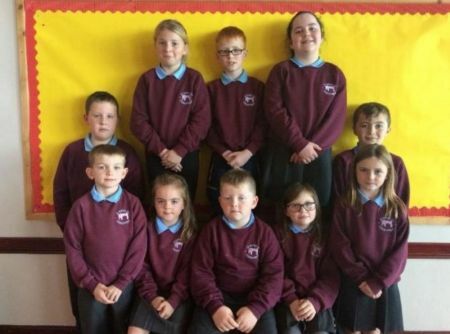 St John’s Primary School and Carnlough Community Nursery welcome pupils from all traditions. Establishing close links with home and the community is central to all our teaching and learning and we encourage opportunities to work together. For more information why not view our prospectus below or contact the school to arrange an appointment. The School Council did a collection at our school nativity to raise money for the Missionary Sisters of the Assumption. They raised £158.19, many thanks to everyone who kindly donated on the night. 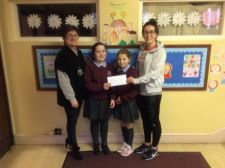 Mrs Haughey and members from the Student Council present the cheque to Sister Mary’s niece. A new set of afterschool clubs will run from January until February mid-term. Please see our Facebook page for an updated list. Next week is Catholic Schools week. 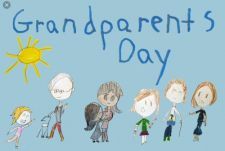 We are having a Grandparents mass and refreshments in the school afterwards. Everyone welcome, we look forward to seeing you there. The PTA had their AGM and reconstituted under the new of the PTFA! (Parents, Teachers, and Friends Association!) The new committee is Chairperson: Alex Emerson, Treasurer Pauline O Loan, Secretary Stephanie Dinning. Many thanks to everyone who attended the AGM and to those who pledged their support but were unable to attend. 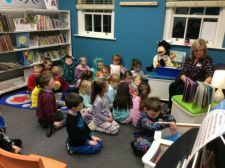 P1 and P2 enjoyed a lovely bedtime reading session in Carnlough Library with Julie the Librarian. Having been nominated for the Primary Science Teache Trust, Teacher of the Year Award we were delighted when Miss Killough was shortlisted. Following a formal interview and assessment we are thrilled to have been informed that Miss Killough has won! 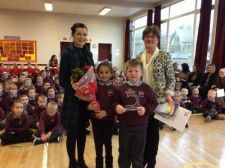 Miss Killough is truly deserving of this award which makes her a Fellow of PSTT and eligible to apply for funding to develop her work in promoting Science in the Nursery and linking it through school which the judges were extremely impressed with as this is such an important aspect of children’s education. Well done Miss Killough! St. John's P.S features on ESaGS TV. 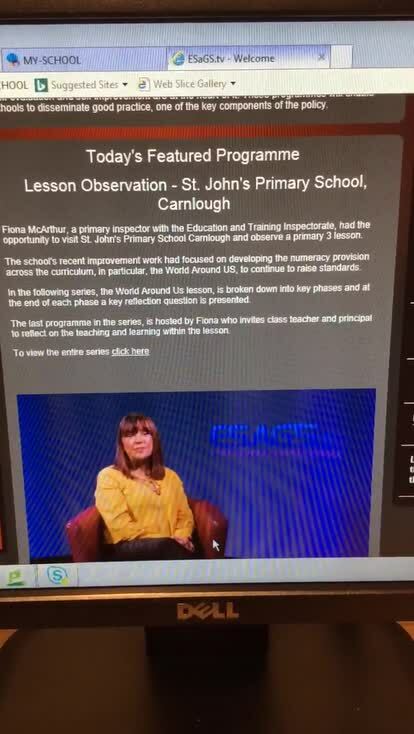 ESaGS TV (The official website for Education and Training Inspectorate) have chosen St. John's P.S to model exactly what High Quality Teaching and Learning looks like. Follow the link to view an "outstanding" lesson in P3.